Este potrivit pentru dumneavoastra daca doriti sa transferati rapid si in siguranta date importante sau personale de pe dispozitiv pe calculator (PC) sau pentru incarcarea tabletei. 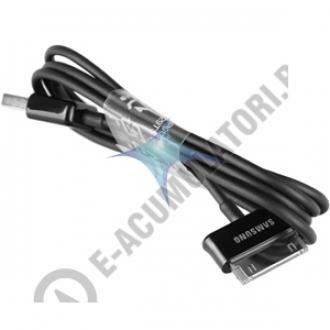 With this cable you can efficiently sync your Galaxy Tab via USB. Charging Function only with USB Travel-/Car-Charger. Not possible with the USB Plug of your PC.